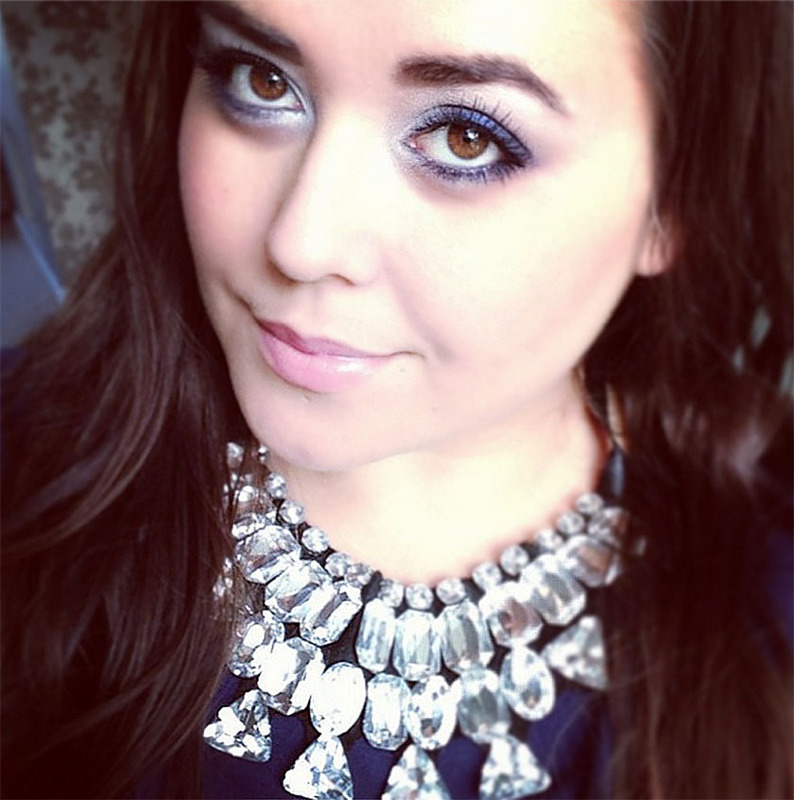 Most of you know that I am obsessed with statement necklaces. After a big clear out, I managed to reduce the amount of them to just over 100 different styles, but... I simply can't stop buying more. I love them!!! Most of them are quite cheap though, so it isn't a big problem :) haha. 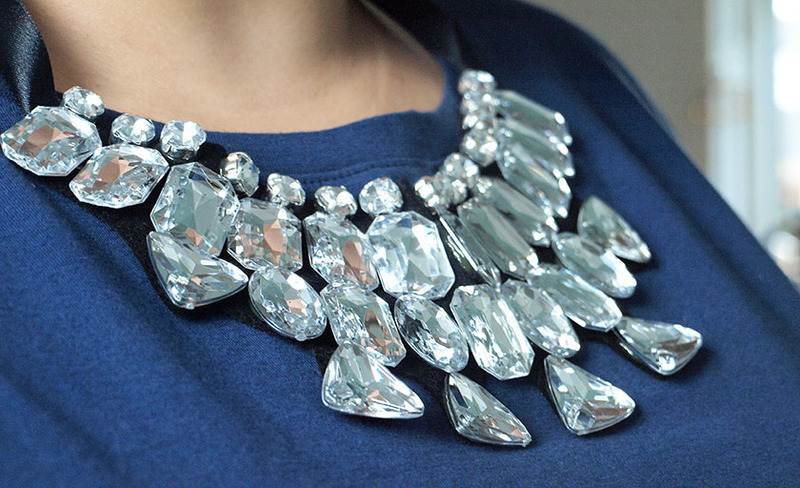 My latest find is this beautiful (and cheap) crystal necklace. I have been looking for something similar for ages, but I didn't want to pay too much money for such a simple design. After all, it is made with a bit of felt, some ribbon and plastic rhinestones. I managed to find it on ebay for only £2.53 with free P&P (link), so it was an absolute bargain! It isn't the most amazing quality necklace, but I like it and I have been wearing it a lot. It is designed to be worn quite high, but I prefer to wear it lower, so there is a bit of creasing in the middle, when I move around (as you can see on the last photo). 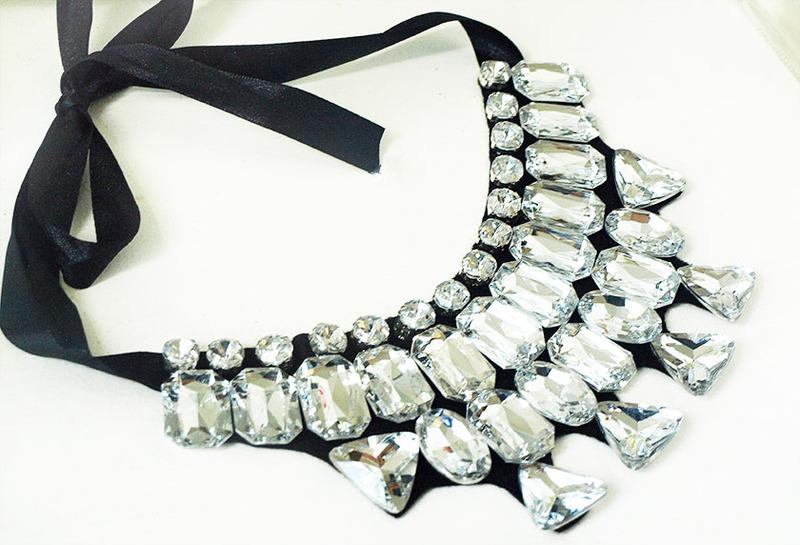 It is a gorgeous piece and it looks amazing, paired with a simple dress or a t-shirt. Let me know, if you would like me to share more bargains on the blog?